Three American service members were killed when their convoy hit a roadside bomb on Monday near the main U.S. base in Afghanistan, the U.S. forces said. The Taliban claimed responsibility for the attack. The U.S. and NATO Resolute Support mission said the three Americans were killed near the Bagram Air Base, north of Kabul, while three others were wounded in the explosion. The base in Bagram district is located in northern Parwan province and serves as the main U.S. air facility in the country. 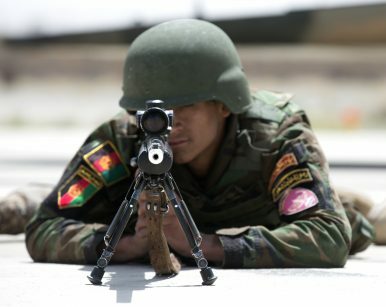 Monday’s U.S. fatalities bring to seven the number of U.S. soldiers killed so far this year in Afghanistan, underscoring the difficulties in bringing peace to the war-wrecked country even as Washington has stepped up efforts to find a way to end the 17-year war, America’s longest. Last year, 13 U.S. service members were killed in Afghanistan. Meanwhile, Afghan officials said that the Taliban stormed army checkpoints in southern Kandahar province near the Pakistani border on Monday night, killing 20 troops. Mohammad Yousof Younosi, a provincial council member in Kandahar, said Tuesday that eight other security forces were wounded in the overnight attack in Shorabak district. By Rahim Faiez for The Associated Press.